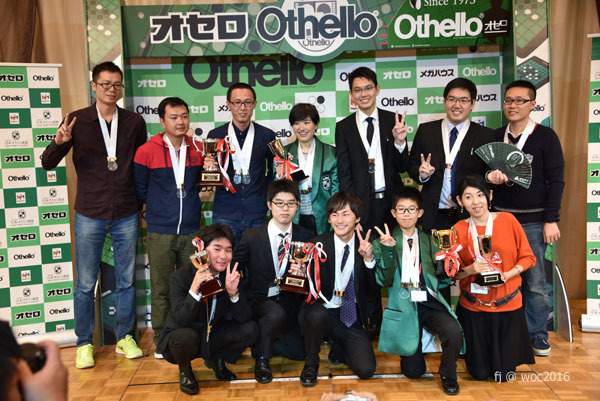 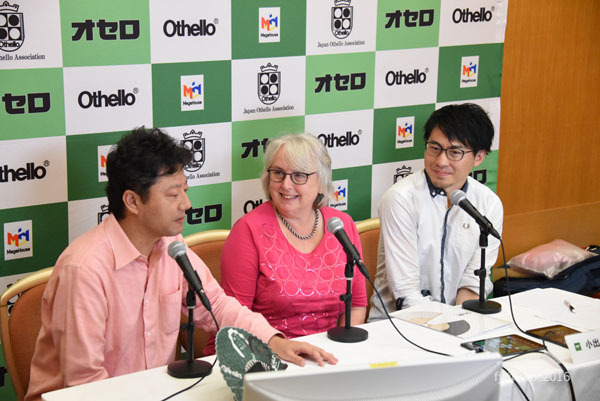 Todays Japan Times had an article on the World Othello Championship and there was also an article in the Ibaraki Shimbun. 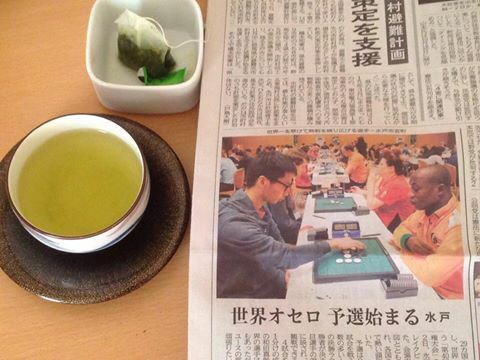 Team Ivory Coast was very proud to have one of their players in the Japanese newspaper. 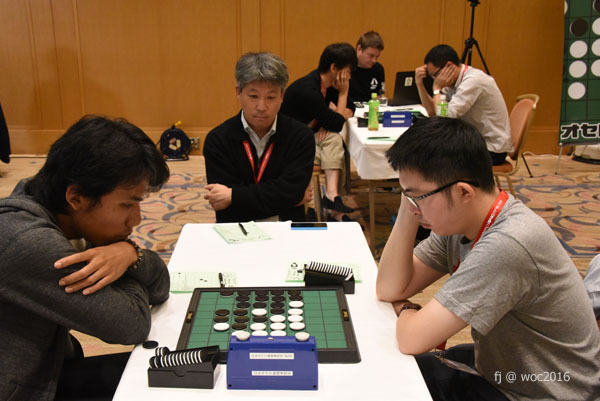 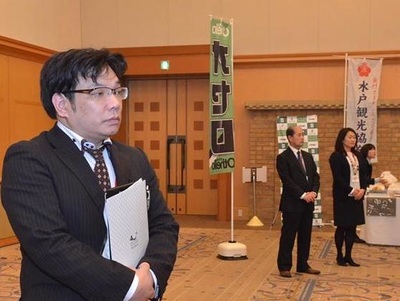 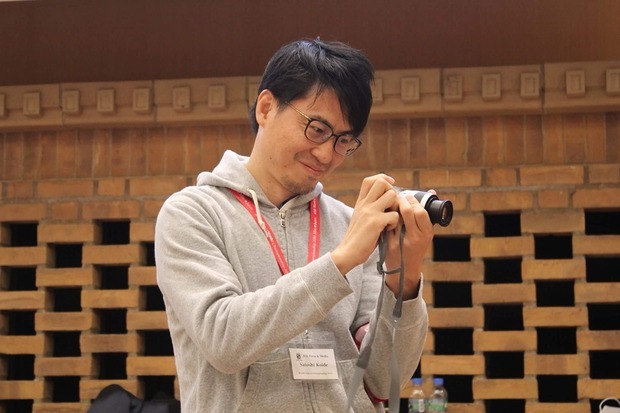 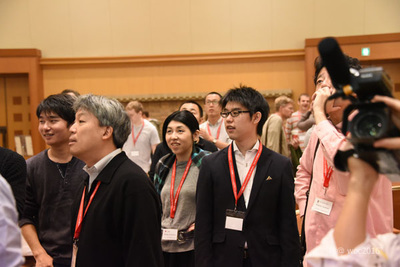 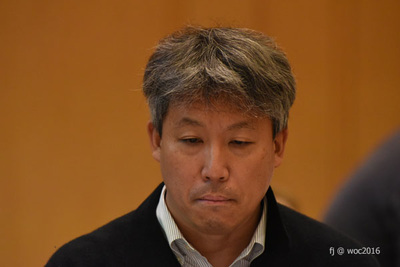 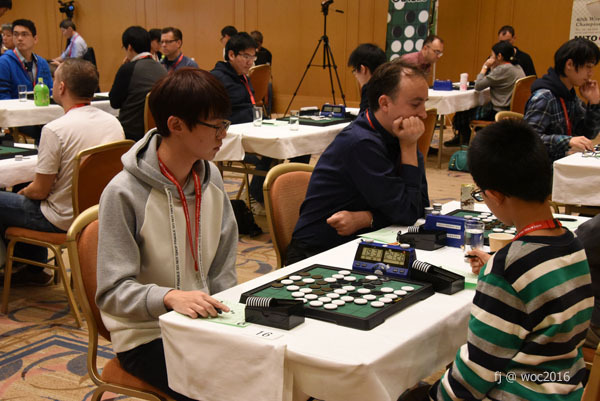 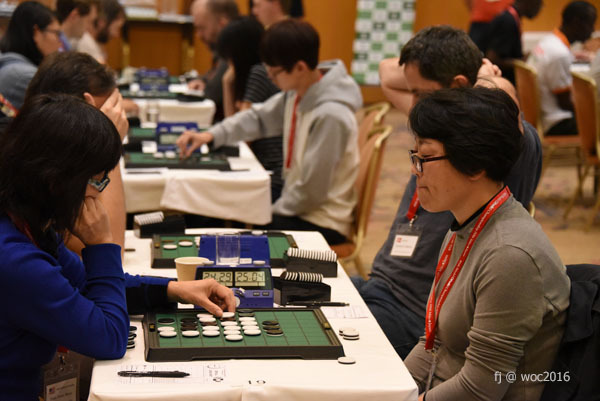 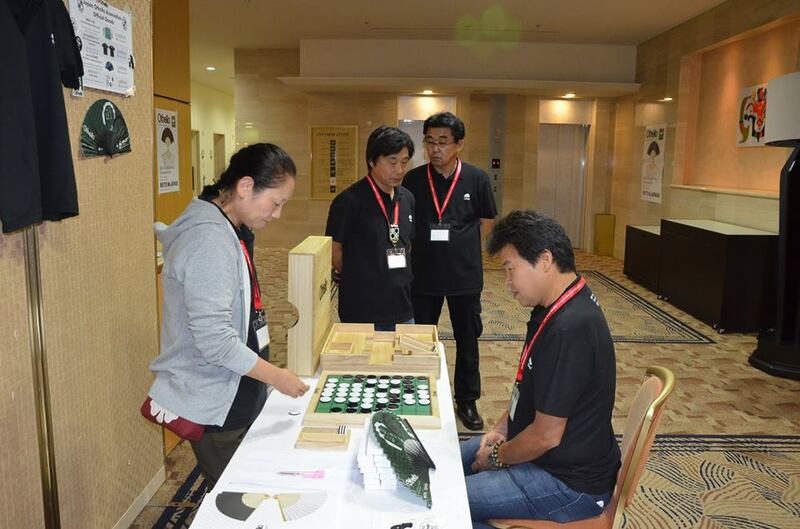 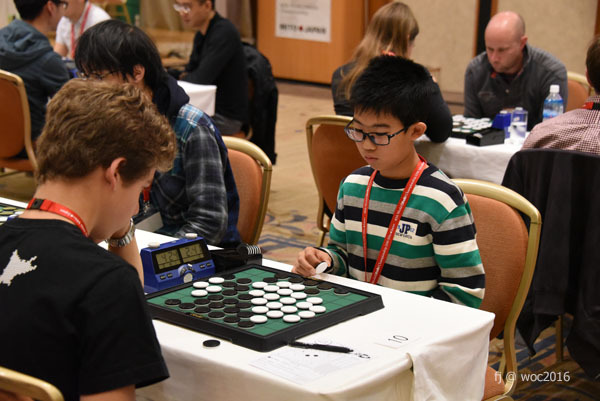 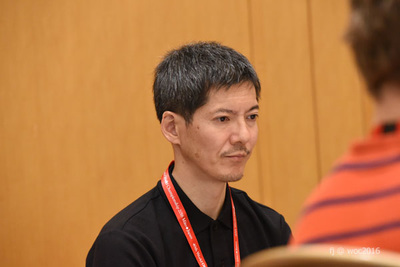 With a 43-18 win against Brian Rose, Yasushi Nagano secured his spot as undefeated player at day 1 of this WOC. 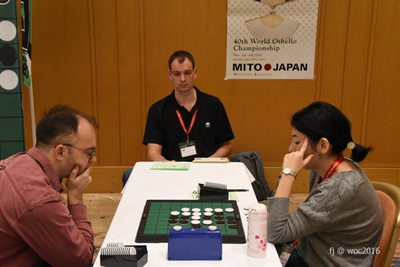 Right behind him 3 players with 6 points: Ben Seeley, Yusuke Takanashi and Hisako Kinoshita. 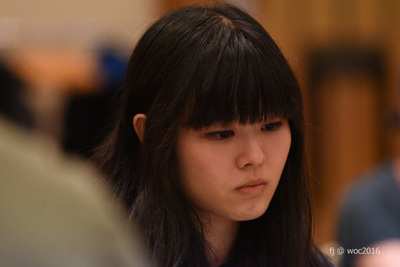 Very good first day of tournament for female player Hisako Kinoshita. 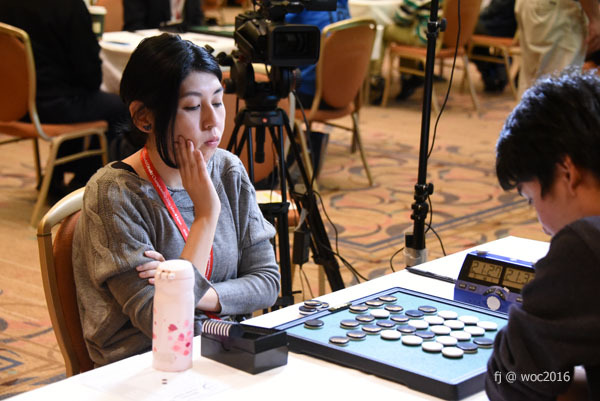 It would be great to have a lady in the semis! 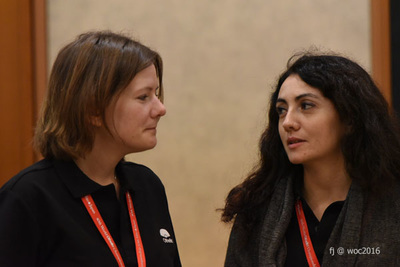 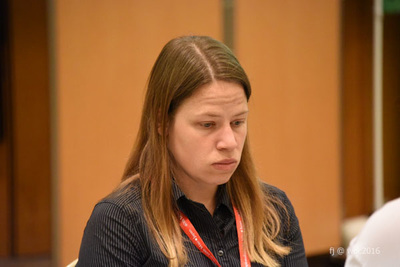 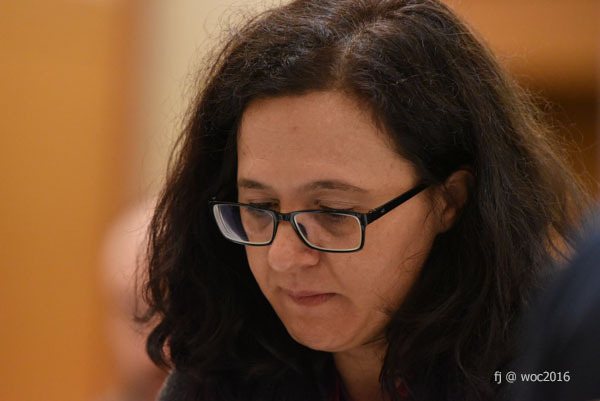 A very tough opponent for her in round 8, she had to play against Yasushi Nagano. 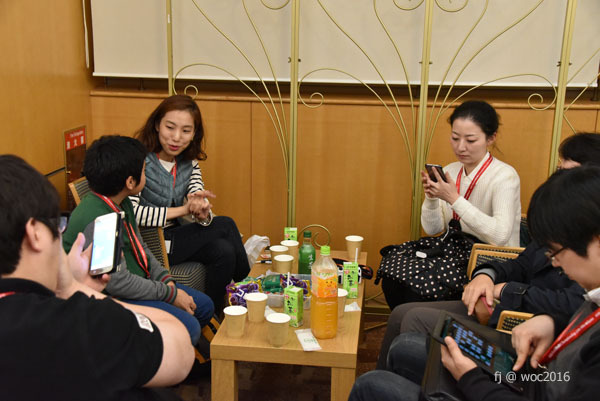 I met a lot of players at the first day of tournament that really praised the strong play by Hisako. 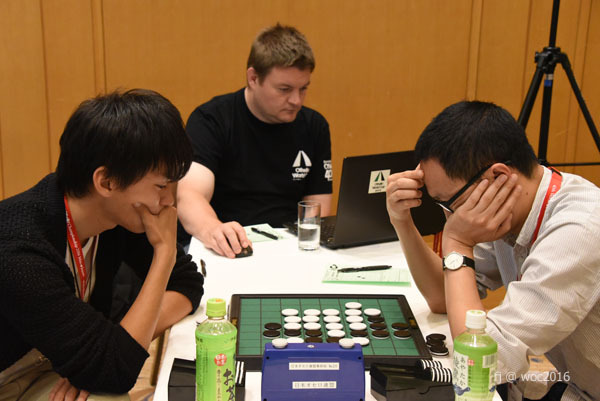 Yasushi won the game but I am sure there will be more wins for Hisako today. ​Another interesting game was between Arthur Juigner and Masaki Wada. These are the two juniors players that are most likely to make it to the junior final. Arthur won the game 36-28, but, in a final anything can happen. 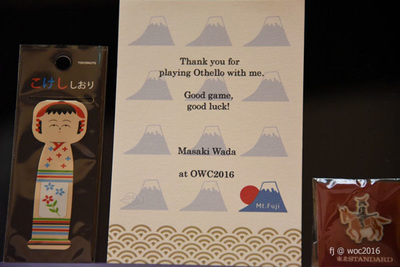 Masaki Wada surprised his opponent with a gift and a nice card. What a very cool thing to do! 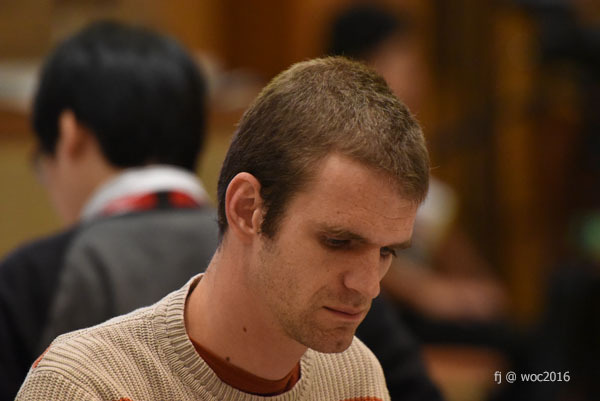 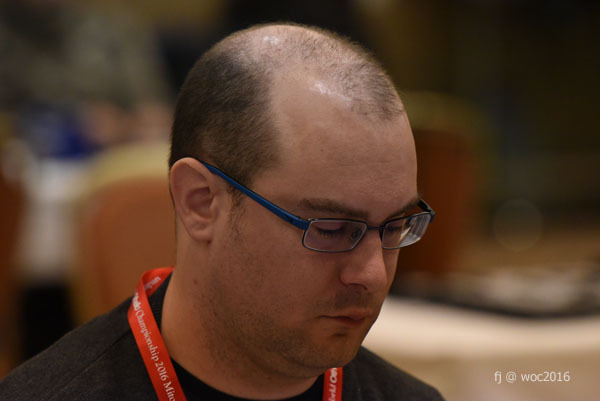 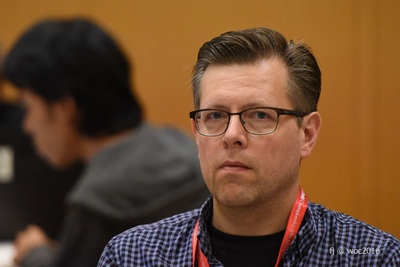 Ben Seeley seemed sort of unfocused during his game against Hisako Kinoshita at table 3. 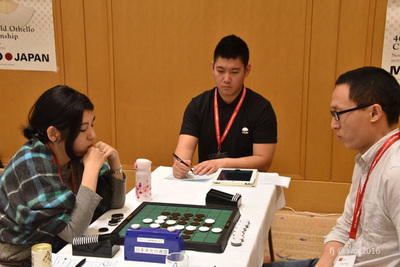 I saw him get up several times and he appeared to be more interested in the games around him than in his own game. Ben was winning the entire game but gave away the game at six empties and lost 30 - 34. 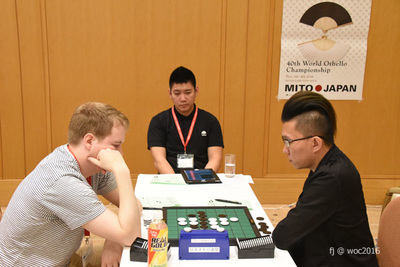 He dropped from a shared 4th place to 9th place. 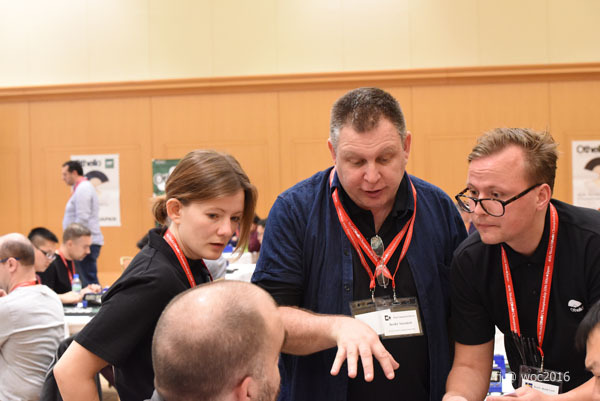 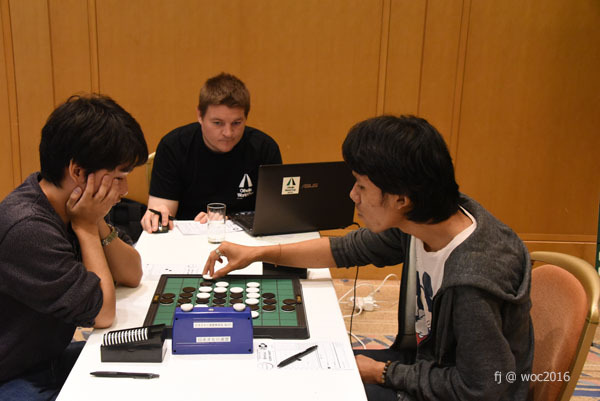 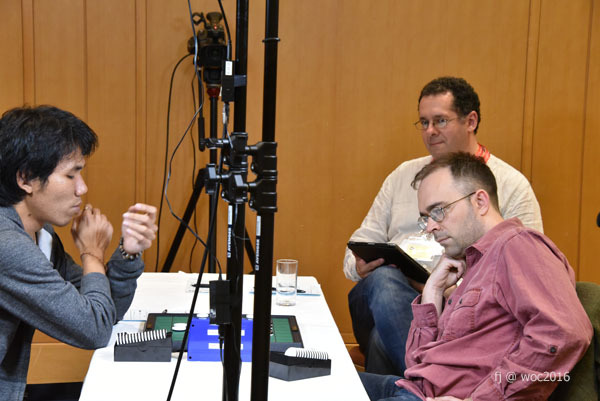 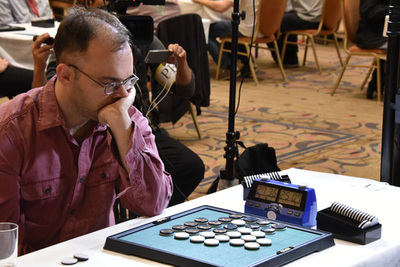 The main attention went to table 1: Yasushi Nagano against Oskar Eklund. 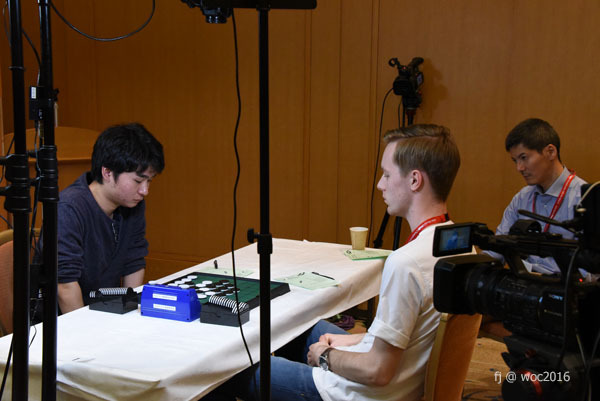 The games was aired on livetv and afterward the players were interviewed in the LiveStudio. Live commentary during the games will be done by a game by Satoshi Koide, Yuji Miyazaki and former World Champions Takeshi Murakami, Kunihiko Tanida and Makoto Suekuni. 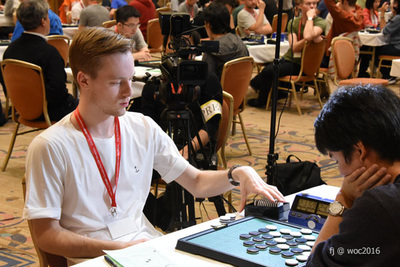 This really is the next thing in tournament coverage. 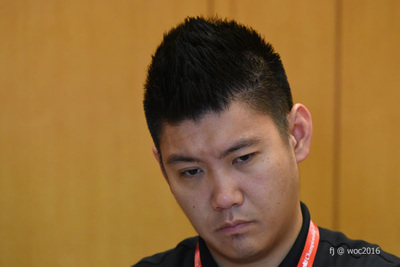 ​Piyanat Aunchulee is slowly moving towards the semifinals. 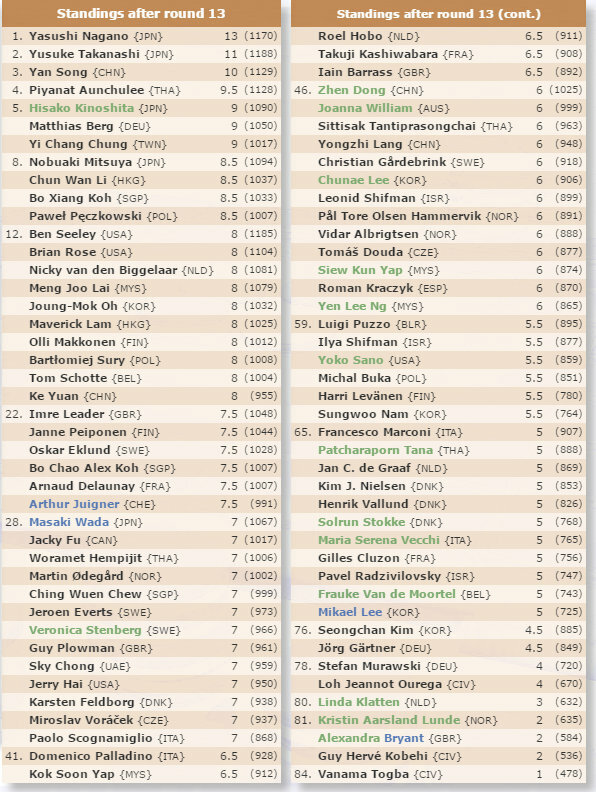 Top 6 WOC after 11 rounds: Yasushi Nagano leads with 11 wins, right behind him with 10 points Yusuke Takanashi. 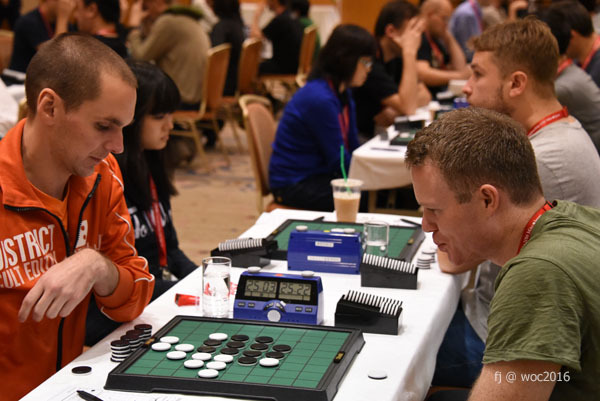 Four players with 8 points: Ben Seeley, Yan Song, Hisako Kinoshita and Meng Joo Lai. Round 12 and 13 will decide their fate. 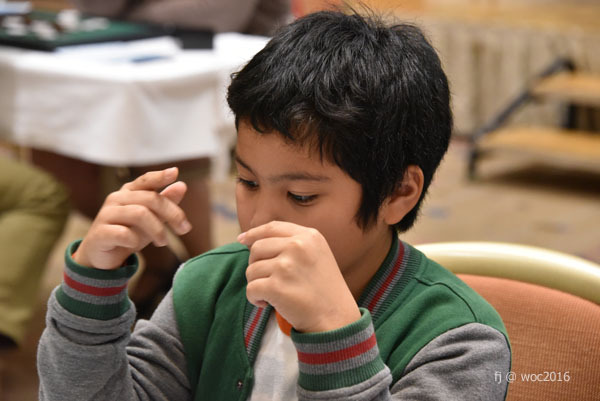 Two more rounds to go!!!!! 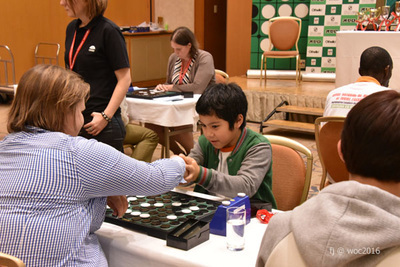 Piyanat Aunchulee won 33-31 against Ben Seeley, a key game for a place in the finals. 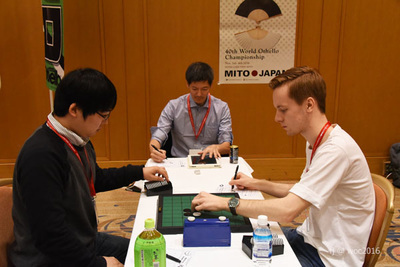 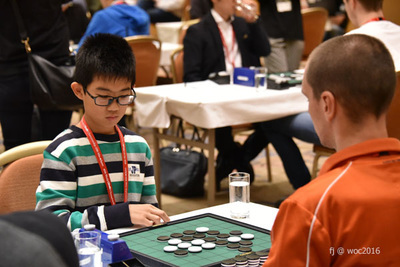 A very good game in the last round for Matthias Berg who won against Yusuke Takanashi 25-39. 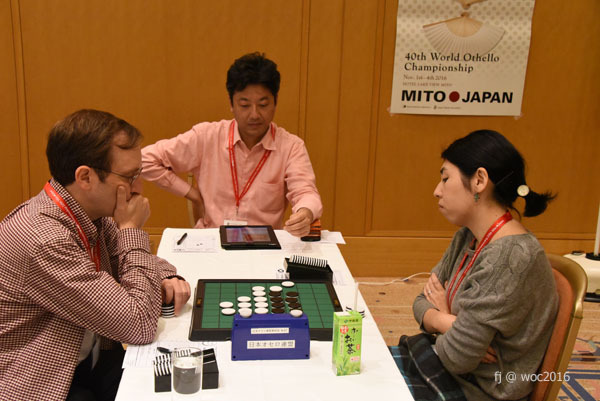 Hisako Kinoshita lost against Yan Song and Yasushi Nagano won 50-14 against Tom Schotte. 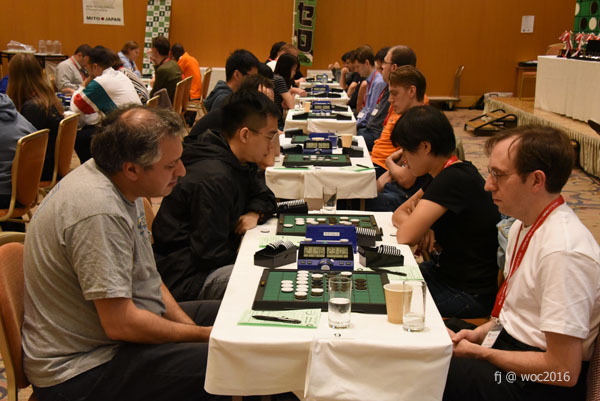 Winner of the Swiss rounds is Yusushi Nagano, what a wonderful achievement to win all games in this very strong field of players. 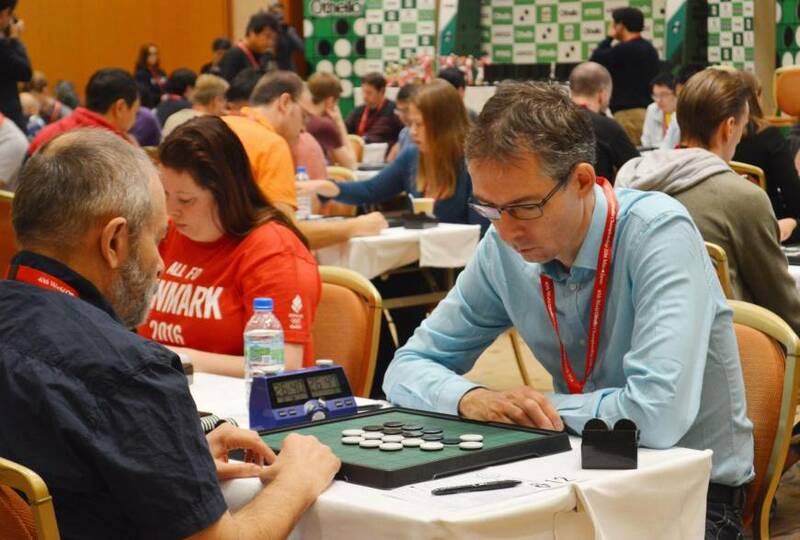 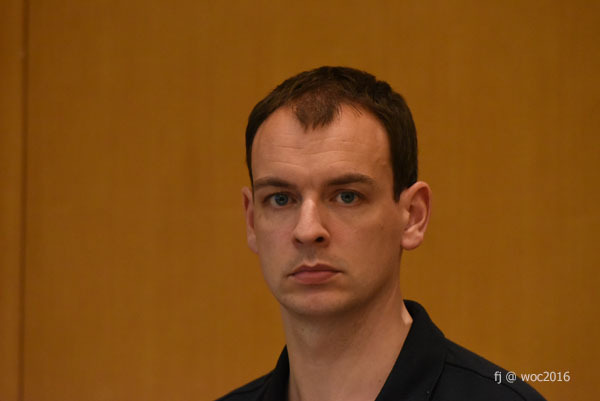 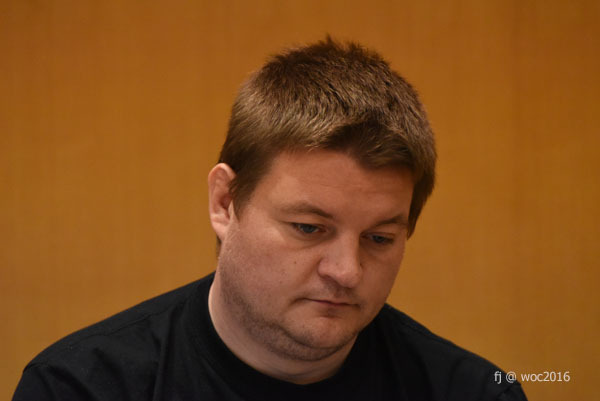 Best European player after 13 rounds: Matthias Berg from Germany.